SLA Europe welcomes you to Wednesday Webinar. Just Google It! This is the way many non-Information professionals think we should be gathering information. If only finding competitive & marketing intelligence online was so easy. Successful competitive intelligence gathering requires a much more thorough approach and process. 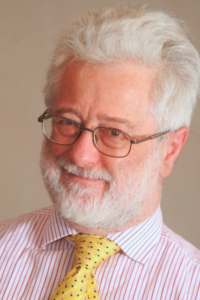 I dette webinaret, Arthur Weiss will present his 10 tips for finding competitive intelligence online – starting at knowing what and why the information should be online, via the research plan to the need for out-of-the-box thinking. This webinar will offer opportunities to explore key tips to ensuring successful competitive intelligence and would be of use to anyone thinking of exploring competitive intelligence for the first time as well as for any advanced practitioners looking to refresh their skills. Arthur Weiss is managing director and founder of AWARE, a consultancy specializing in competitive and marketing intelligence, with services including research and analysis, training and CI strategy consultancy. Previously, he was the European Marketing Information Manager for a blue-chip information services company. As well as helping clients understand and prosper in their competitive environment, Arthur is a popular speaker and has taught marketing and CI related topics at the University of West London, De Montfort University and led workshops in the USA, Kina, Malaysia, Indonesia, India, Sør-Afrika, Dubai, Israel and across Europe. Arthur is recognized as a thought-leader for the subject, with numerous articles and papers on competitive / marketing intelligence published in a variety of journals. Spre ordet. Del dette innlegget!